Took my almost 3 year old old, (she turns 3 in March) out ice fishing today. We didn't go out to my doors where I know I can catch fish because I knew our trip would be short. We caught some dinks, sang some songs, and only lasted around 35 minutes. She had a blast, and is now taking a nice nap!!! She touched the fish, and put them back in the hole!!! 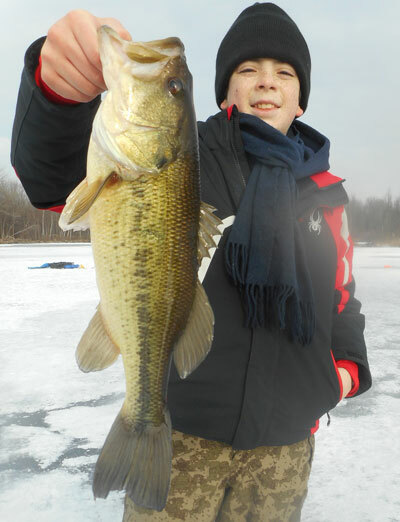 Even though we didn't catch big ones, or stay out very long, was the best day on the ice !!!! Klino 2280 best way to start a young child off is with short trips in my opinion . glad you caught a few fish . BadBrad 2168 nice photo love the sunglasses. 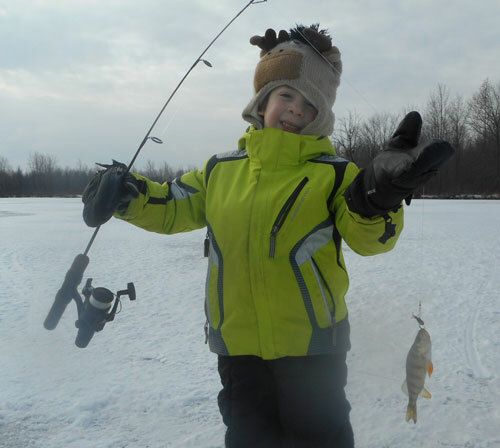 Builtfromiron congratulations to your son on catching the perch. Great Photos everyone sadly some are missing since my last visit to this thread hope they are not being held by Photobucket. Yes, thank you badbrad. She was soooo excited to see your fish. Keep in touch and pm me when you are out on Sodus. We only went to 13 fow because I knew she wouldn't be able to make the trip out to where I know the fishing was better. We stayed close, and kept the trip quick. Cool pic from the other weekend. Great day with the boys! A pic of my son last week. This kid loves fishing!! Great photos everyone . 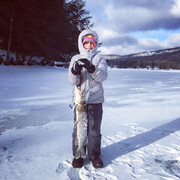 Zimmy87 congratulations to your sons very nice walleye and pike. Bigflatsmike same to your son on his pile of fish. Pjfisher7 big high five to your son hope you are going to frame this photo beautiful trout. Icevader I think your boys found the correct spot on that trip congratulations. Thanks to take the time to congratulate the kids Steve, and yes that picture has been blown up and passed out to the family fisherman !!! 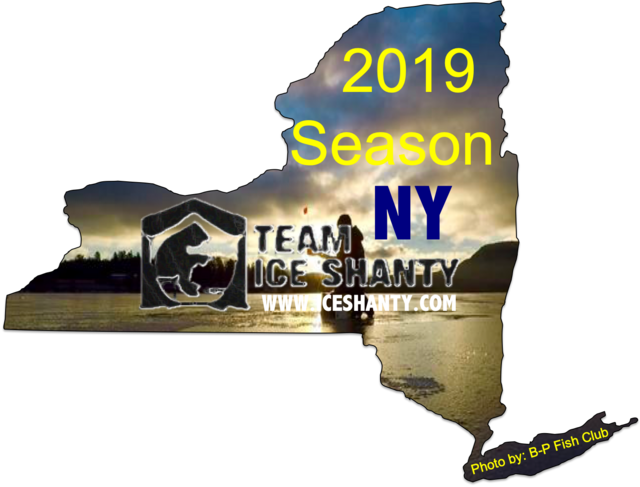 Good luck to all as the season comes to end ..April 1 is only a stones throw .. "Get em in the lip "
To all who have posted photos of the next generation of ice anglers and their catches thank you always nice to see young people out ice fishing. Raquettedacker are the young ladies in your photos your nieces. 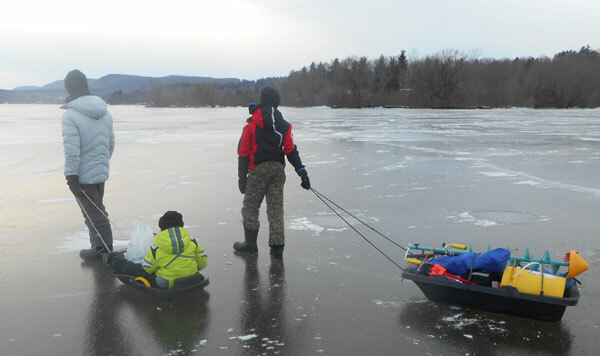 Raquettedacker thank you for the reply,good work helping your buddy teach his daughter's about ice fishing. Here is a look at a pretty happy daughter, even though the smile didn't show it. She fished Saturday and Sunday mornings with Me, and she got to help fillet. She had the job of taking out the rib cages. The fryer is warming up as I type this, so she will have taken the fish from the water to the table. An invaluable skill I would like to keep her in touch with. We would have stayed out longer as we we're catching solid fish, but the huge wind gusts scared her for the day. Saturday's pictures will follow shortly. Almost 4 year old out having a blast. She didn't have the patience to land a big one, but had a blast catching. However, my 13 year old daughter put a hurting on some decent size perch today. The face says it all, lol. My buddys daughters had a great time yesterday.. Boy i wish i had there energy. Had a great day yesterday with my little buddy "Fred".... Caught lots of perch and we all got sunburn..
Once again my thanks to all who have posted photos this ice season always nice to see the next generations of ice fishermen/women out catching fish and having fun. Raquettedacker guessing your "Little Buddy's" first name is Fredrica . I see hopes she takes your ribbing in good spirits.